If you've been using Amy Schumer or Vanessa Bayer as your go-to examples for why marriage is unnecessary and stupid — or how men wouldn't know a great girl if she fell down in front if him — you're going to have to hone in on different female celebrities. 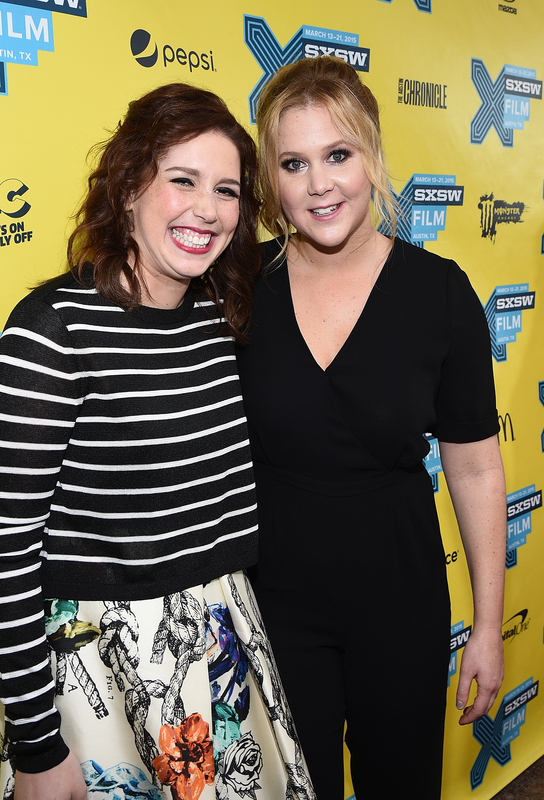 In an interview with People at the world premiere of Trainwreck, both Amy Schumer and Vanessa Bayer revealed they are horrible dates — and that they're the reason many of their past dates have failed to produce lasting relationships. That's right, don't pity the comedians — they're the problem and it's refreshing to hear what total jerks they have been on dates. I would think that the worst date horror stories would actually be about me from other people. Yeah, that's what I would say. Maybe, like me, you're thinking: how bad can Schumer screw things up? She's probably going to win an Emmy for Inside Amy Schumer and who wouldn't kill for the chance to break bread with an Emmy winner? At worst, even if the guy sitting across from her is a total psychopath, she can keep things light and lively by throwing a few jokes his way, right? In an interview with Nylon in early June, the 34-year-old elaborated on some of her worst dates, which included going home with a guy who was a hoarder and didn't have sheets on his bed and being told by a different date that Mark Twain wasn't an appropriate answer to his question, "If you could go out to lunch with anybody, living or dead, who would it be?" — because he wasn't real. Anyone forced to sit through dates like these would purposely sabotage them, too. There was a formal I went to in college where I matched this huge guy drink for drink, and then I ended up throwing up on myself but not really knowing about it and being like, "We should hang out more," and he was like, "I'm gonna go home." And then I woke up a few hours late and realized that I had thrown up all over my dress. [I was like], "Oh, that wasn't the coolest look." Since Schumer and Bayer are two of the coolest, funniest women in Hollywood right now, they serve as proof that no one should rule out a potential suitor on a bad first date. I mean, first dates are the worst. The only people who succeed at coming across as fascinating and worthy of more dates are actually lying through their teeth — and bound to drink so much on the third date that they eventually vomit up all that alcohol and every dirty little secret they're hiding. Give your bad first date a chance; he/she may end up having a lot in common with Schumer and Bayer. Or, they might be horrible people, in which case, you should have never taken my advice in the first place.